At the beginning of the 20th Century, Cincinnati was a chaotic mess of seven different railroad lines all converging on the Queen City. 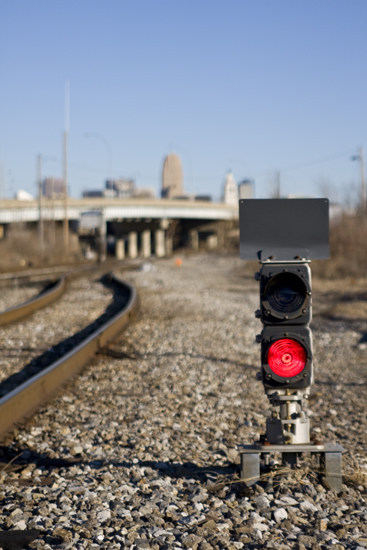 In a time before crowded interstate highways and an over priced Delta hub airport across the Ohio River, rail was king and a solution was developed to Cincinnati's growing rail traffic problems. That solution was Union Terminal, a central hub where the majority of freight and passenger lines running through the city would converge in one central location. 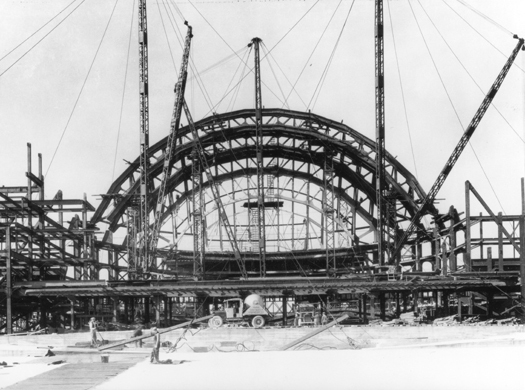 In August 1929, construction was started on the massive Art Deco structure. Now abandoned, the River Rd. Amtrak station was very lackluster compared to the grand art deco Union Terminal which had been sold to a developer and was converted into a shopping mall just as this station was seeing Amtrak service. - Center station platform at the now abandoned River Rd. Amtrak station. 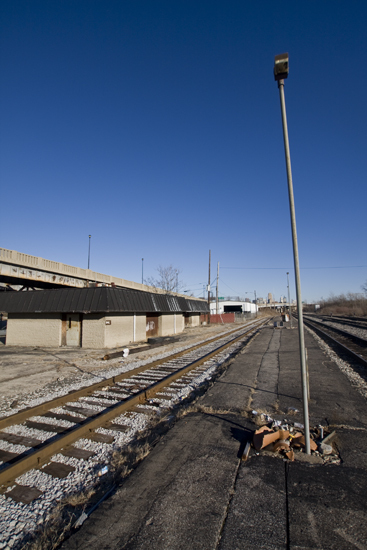 - These photographs of Train 50 at the now abandoned River Rd. 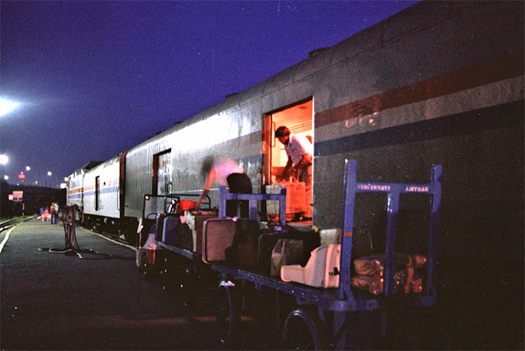 station were taken by Robert E. Pence in 1979 as he passed through Cincinnati on his way to Baltimore. As the River Rd. station continued to serve passengers on Amtrak's Chicago - Washington D.C. line, the mall at Union Terminal failed. 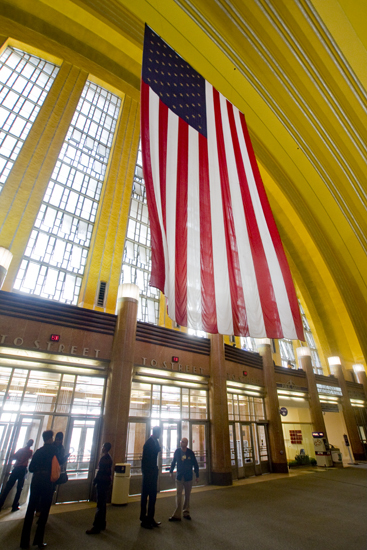 After temporarily sitting vacant, voters approved a $33 million bond to fund the renovation of Union Terminal into the Cincinnati Museum Center. 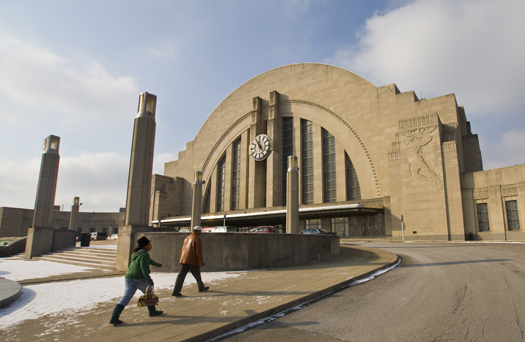 In November, 1990 the Cincinnati Museum Center opened in a renovated Union Terminal. The Museum Center became a huge success and grew over the decade, today it is now home to the Robert D. Lindner Omnimax Theatre, Museum of Natural History, Cincinnati Children's Museum and Cincinnati Historical Society Museum and Library. In 1991 Amtrak abandoned their River Rd. station beneath the viaduct, restoring service to Union Terminal. - Union Terminal as seen today. - Inside Union Terminal, now known as the Cincinnati Museum Center. - Some of the terminals main traits are not only it's art deco style and massive rotunda, but mosaics by German-born artist Winold Reiss. While many of the mosaics were restored and are still in the Museum Center today, a few were removed from the building when part of the terminal was demolished to make room for more freight traffic once all passenger traffic had ceased by 1972. 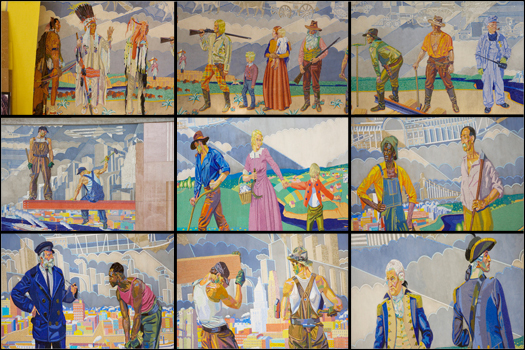 Those mosaics were moved and can now be found on display at the Cincinnati/Northern Kentucky Airport (CVG). 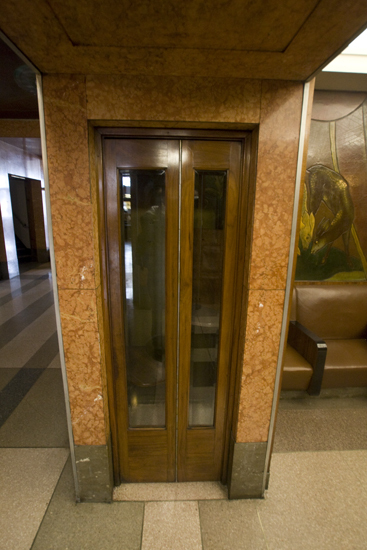 - A phone booth hidden within the wall. 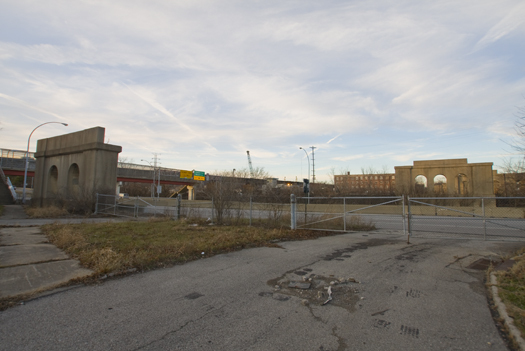 - Abandoned piers that once supported a Union Terminal Viaduct. 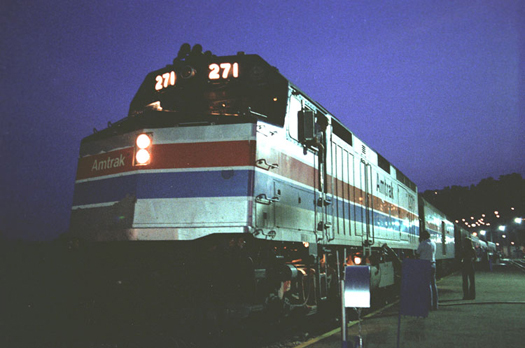 While Amtrak still runs "Cardinal" service through Cincinnati as part of it's Chicago to Washington D.C. line, the train only comes through a few times a week. It's actually faster and probably cheaper to drive to New York or Chicago then it is to take the Amtrak "Cardinal" from Cincinnati. On the other side of the city and across the river, remnants of a former freight line and street car line can be found...right next to you...if you know where to look. 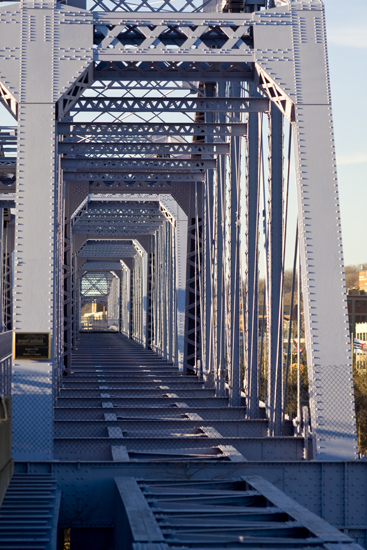 The Purple People Bridge, formerly known as the Louisville and Nashville RR bridge opened in 1872 to serve standard gauge railroad freight. The bridge was modified and expanded in 1897 to feature two street car tracks and a path for horses and carts to cross the river. The cart path was paved in 1904 for automobile traffic and streetcar service ceased some time following World War Two. One of the streetcar lines was converted into a pedestrian walkway. 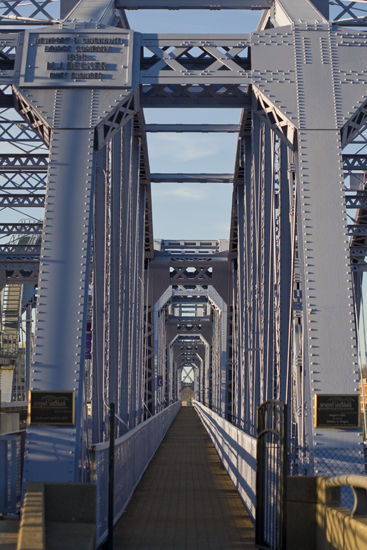 - This Purple People Bridge pedestrian walkway was originally a streetcar line. 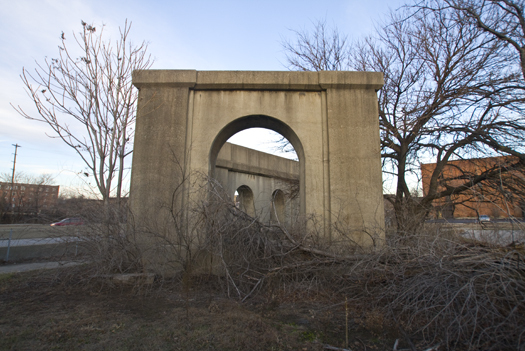 The bridge continued to service automobiles, pedestrians and freight trains until 1987 when all rail operations on the bridge ceased. 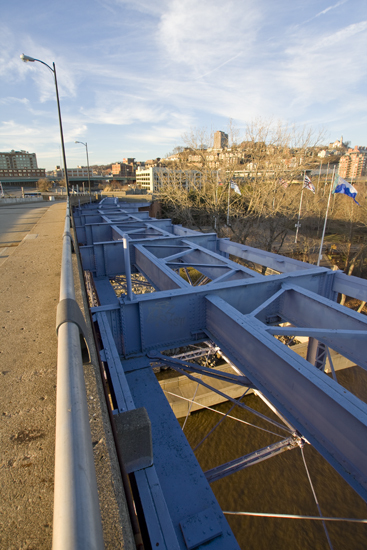 15 years later, the bridge would close to automobile traffic in 2002. 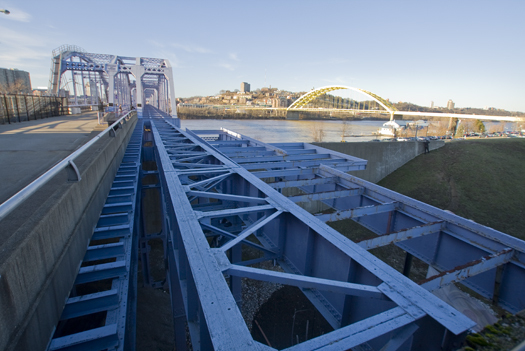 In 2003 the bridge was renovated, repainted and reopened as the Purple People Bridge, serving pedestrians exclusively, offering those in Cincinnati with a direct walkway to Newport On-The-Levee. 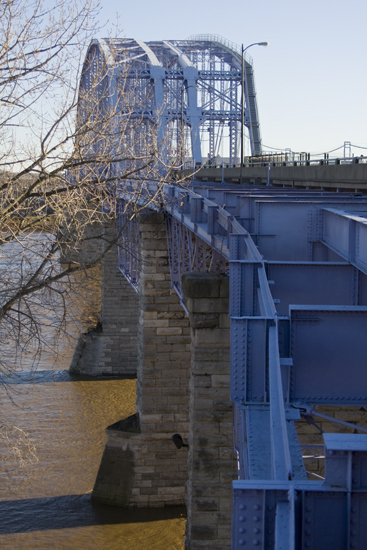 A more detailed history of the bridge can be found at Jake Mecklenborg's fantastic Cincinnati Tranist website. 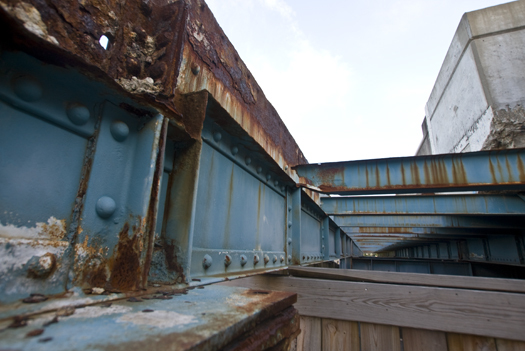 - Parallel to the pedestrian walkway is the now abandoned part of the bridge which once held the freight line. This section may one day see use if a light rail line is ever built. 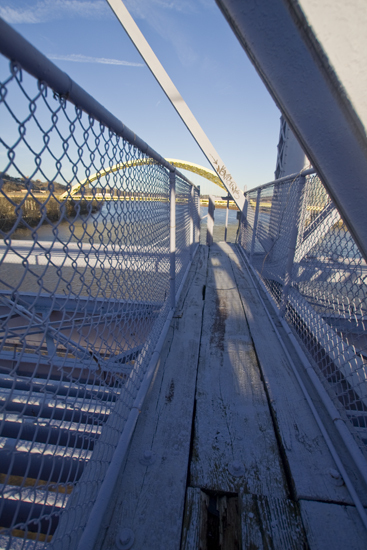 - A wooden catwalk crossed over the structure, which allows inspectors to access the other side of the abandoned part of the bridge. 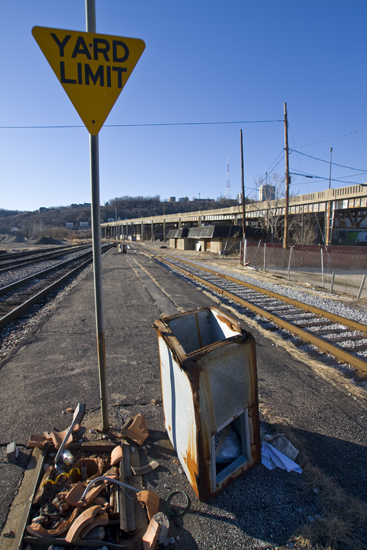 - Abandoned freight line approach heading into Cincinnati. - Closeup of the unused section. 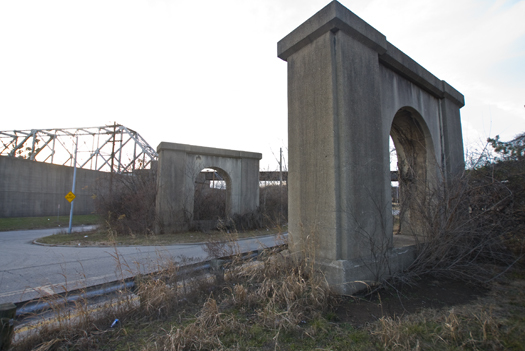 All over the city and even in the surrounding suburbs and neighboring urban centers like Hamilton, Dayton and Middletown, remnants of Cincinnati's once mighty rail industry can be found. 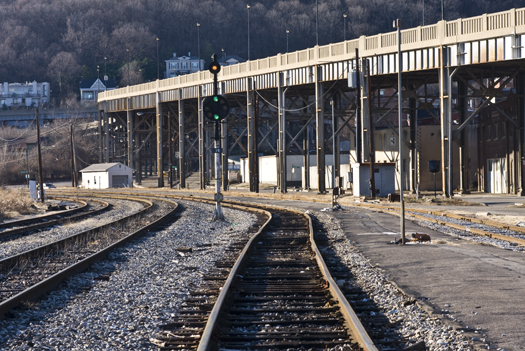 While a shell of it's former self, passenger and freight rail continue to pass through the Tri-State on a much smaller scale. 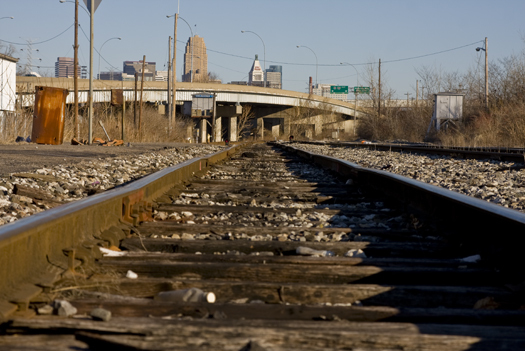 There have since been proposals for the return of streetcars, light rail/subway transit, and a high speed rail line connecting Cincinnati, Columbus and Cleveland. 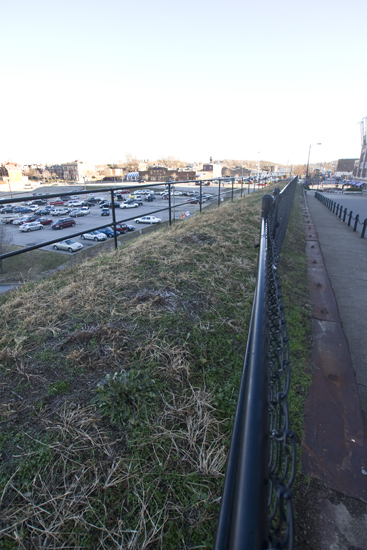 While these proposals and dreams may one day be brought to fruition, and while freight rail still thrives at the Queensgate yards, one can not forget the once proud, now nearly forgotten railroad history of Cincinnati. Union Terminal exists today as the Cincinnati Museum Center, a fantastic collection of historical museums and attractions. 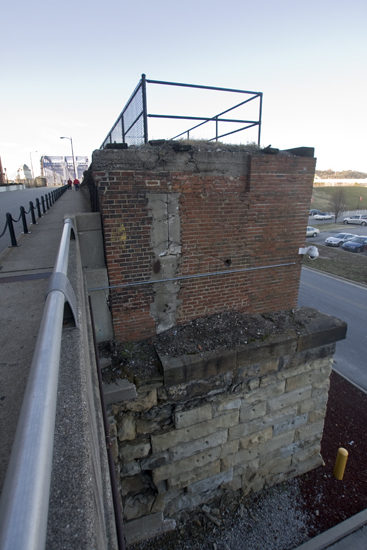 Perhaps the greatest story of Cincinnati's forgotten railroad history is that of the Cincinnati Subway. For all of those stories over the years, go here. The abandoned Amtrak Station on River Rd. was torn down. Union Terminal still operates thrice weekly service (I took the train to Chicago in 2012), but there is a push by a local group to get daily service going to Chicago. 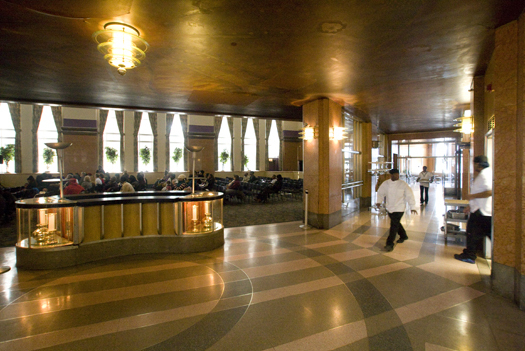 Union Terminal advocated for a levy to fund renovations in 2012 and was successful in getting it passed. Currently under renovation, the building will reopen fully soon. Wow. Awesome article and beautiful pictures! Thanks for the comments guys, glad you enjoyed them. 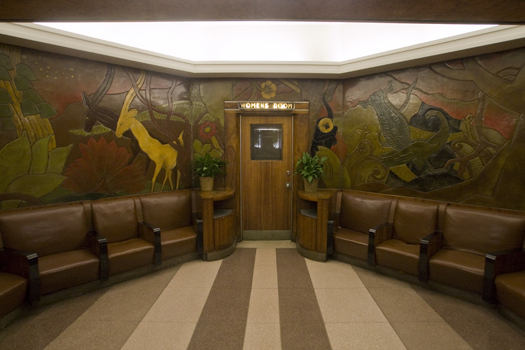 The art on the wall panels, outside the ladies room (antelopes, tropical foliage) is carved laquered linoleum. It is absolutely gorgeous in person. They were not made by Winold Reiss, but by Pierre Bourdelle. 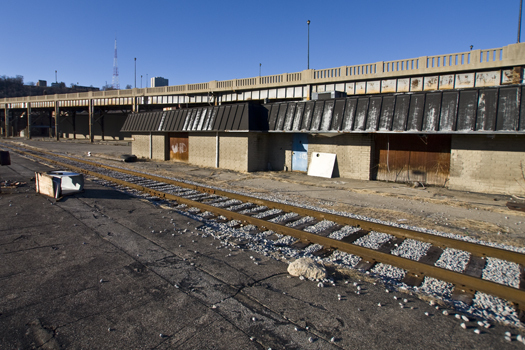 I don't know if you have heard but the River Road Station is scheduled to be demolished soon. Get your photos in while you can. I'm going to try to get an article about it up on my site in the next couple of days.